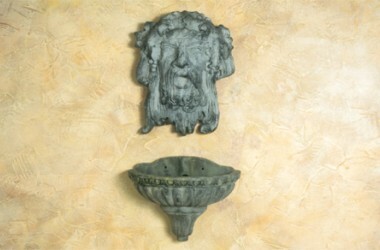 This two part fountain consists of the Bacchus face above with water spout; and a classical style basin below. Wall mount. Measures 16 x 42" and includes pump and tubing.